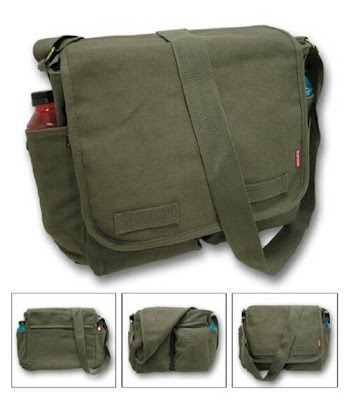 Clothes Out Sale sent me this lovely Rothco Heavyweight Classic Messenger Bag in Olive Drab. When I first received it, it was much larger than I actually expected and includes lots of compartments to store items. There is a zipper pocket on the inside, pockets on the side, and a few more pockets inside the bag. The strap is easily adjustable, and it's perfect for holding my textbooks and folders (and a few snacks ;) ). 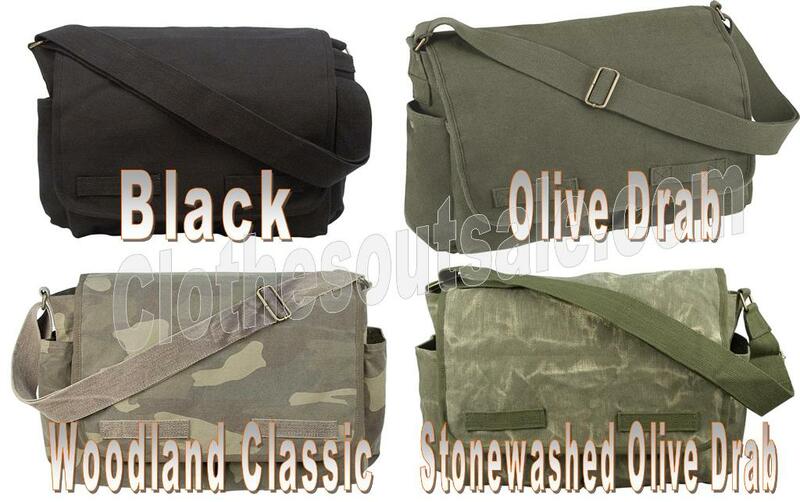 The bag also comes in other colors: black, woodland classic, and stonewashed olive drab. Oooh I kinda want one! It does look really roomy -- I bet it's great for texts! I love messenger bags. I definitely like that Stonewash Olive one! Ooo lucky you! I love the olive version! 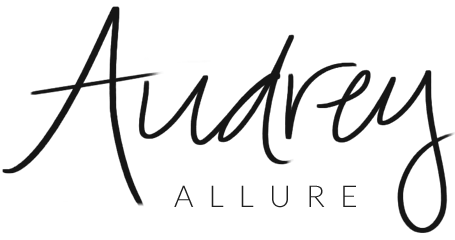 Hope you're enjoying the weekend, Audrey! looks like it would be able to carry tons of stuff! Looks kind of comfy for school, you know books and notebooks and stuff. Hmm, looks like a great bag. I love having a roomy tote for all my stuff. Wow what a great deal! It's super cute, too! so great! I love the olive one! Hello, As per my experience, if you are looking for a classic messenger bag then the Classic Messenger Timbuk2 Bags are the perfect choice for you because it is available in all sizes and colors from which you can choose the Messenger Timbuk2 Bags of your like. I find many useful and stylish bags herewith. It is really amazing.Your article impressed me very heartily. From a last decade I was searching such type of web site. But i am looking for a special type of bag design i have seen once on a website. I found nearly same on a website www.rothco.com they have a very nice range of rothco bags. But i didnt find my special bag can you help me in this ?